Safes are made to protect our valuables. And, when we go across to buy a safe, we sometimes forget the real threat that common household fires can cause to our valuables, and especially our firearms. Yet, so often, having the best anti-theft protection may not be enough. 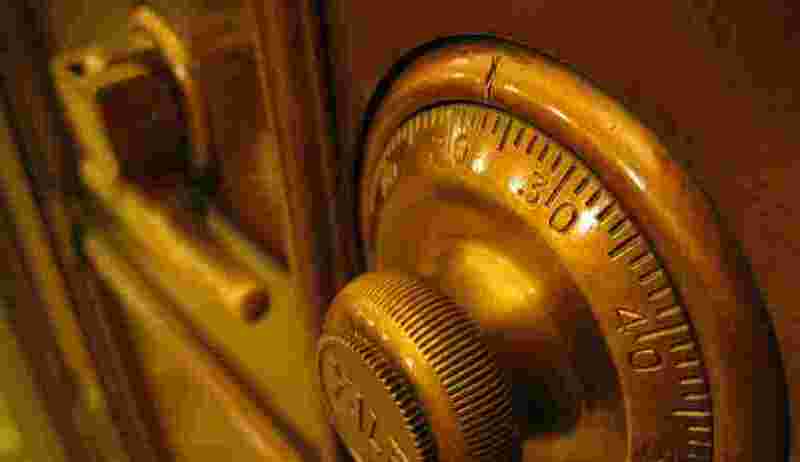 So, here we will discuss a few of the best fireproof safe reviews, where you can find the best fireproof safes that will protect your valuables. Fireproof gun safes can be a great addition to your home or your business. This is especially true if you live close to dangerous areas and highly flammable materials. 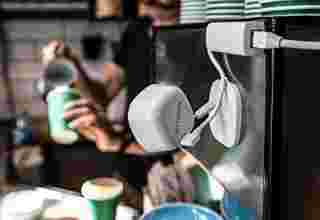 For your business use also, it is obvious that you will want to keep the cash safe and away from anyone looking to steal it or break in. But we could easily neglect to take the immediate natural dangers before these natural disasters become our enemies. We would like to make you vigilant that, no ordinary safes can be completely fireproof, irrespective of the quality of the safe. If someone claims that their safes are 100% fireproof, they are making false claims and trying to take your money. There are special fireproof safes that tailored to protect your valuables from any kind of fire hazard. Only Fireproof gun safes are the only fire resistant for a certain period of time and under a particular temperature. It might not last through an entire house fire, but most fires only last only for a certain time. If you have a quality fireproof home safe, it will definitely save you a lot of unnecessary damage that could be avoided. This needs to be taken into account, as it will help if you have extreme temperatures close by. Which is the best Fireproof Safe for home use? First Alert’s 2092DF is a highly rated waterproof and fireproof safe, that is proved to be the best of all. This safe has a programmed digital lock, covered hinges, a watertight seal in case of flooding and 4 steel locking bolts. Where should I hide a safe? You can hide a Safe inside a wall, floor or Install a wall safe or cylinder floor safe (a Sentry Safe Floor Safe) by bolting it in the floor (most safes have holes inside only for that purpose). You can hide the safe in the corner of some cabinet or other not noticeable areas. How do you keep your documents safe? You can put all your documents in a plastic sleeve and then file inside a binder or box. The binder can then go inside your safe. A standard house fire burns at a temperature of about 1,100 degrees Fahrenheit, which is not warm enough to destroy most of the metals and earthly-made substances. And, if a piece is well-placed and small in size, the chances of survival increase radically. The term fireproof is a very fake statement and many companies use it just to grab attention towards their fire safes. Fire resistant safes are specifically tailored and designed to help protect any papers, documents and anything stored in it and to keep the internal temperature of the safe below 350 degrees, which is the critical temperature where the paper will start to scorch and burn. It is very important to keep all your precious belongings and important documents in the safe to keep them safe. But, there is no perfect time for emergencies like fires or floods. That’s why purchasing a fireproof document safe is a smart decision. These fireproof safes are designed to protect your precious belongings like important documents, jewelry and more so that if the unimaginable happens, they will be protected against all elements. Trying to find out which fireproof safe is best for you? There are many different essentials to consider while deciding to buy a fireproof safe. The first is size— this depends on what items you will be storing in it? You can find different safes of different sizes from the smaller ones for papers only to the bigger ones to store all your valuables. 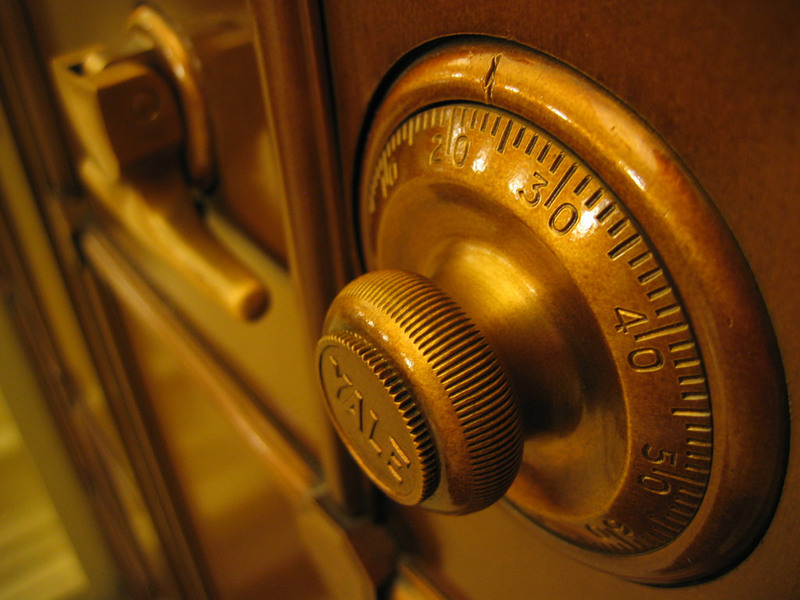 The next question is – how much money are you willing to invest in the safe? 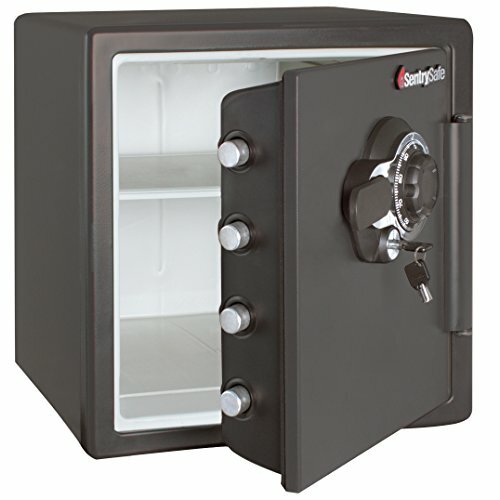 You must be happy to know that you can find safes for all kinds of budget. And the last question – how well do these safes work? We checked the market to find the bestselling fireproof safes with the best reviews. Below are the top 5 fire safes that you can buy, so you can sleep at peace knowing that your goods are protected. First Alert 2017F Water and Fire Guard Fire Chest help protect your valuable documents and electronics. It is water-resistant and flame-resistant safe, and you can safely keep your valuables in it with a locking, clamping-style latch. It is designed to withstand the external temperatures of up to 1,550 degrees Fahrenheit for up to 30 minutes. This security safe has been tested separately to protect digital media such as memory sticks, CDs, DVDs, and external hard drives. This document safe helps keep your important jewelry, documents, money, and other small items safe from fire to cause no damage. 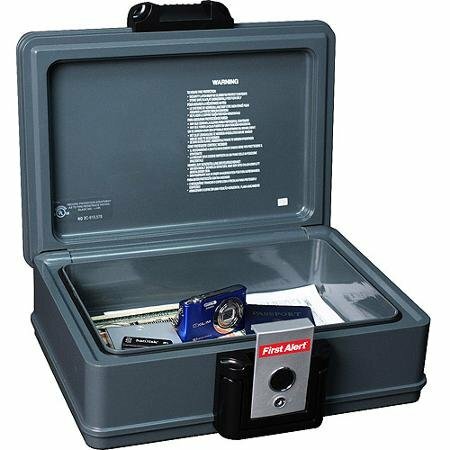 This safe also features a waterproof seal, which protects your valuables if the case has to be sprayed or even flooded with water. Keep your items safe from catching fire at the office, in the home, or on the go with the 2017F key safe. The compact design of this safe comes with a capacity of 0.19 cubic feet, and also features a proper and convenient handle that is inbuilt for easy portability. The fire-safe box is organized with a combination keypad and a key lock, along with a clamping-style latch to protect its contents from theft. This safe box includes two keys, so you have a back-up in case one is lost. The safe comes with a 5-year limited warranty, and if the safe catches fire, it can also be replaced. Even if it is fully underwater, it is waterproof and can hold 8.5″ x 11″ papers flat. The waterproof seal on the First Alert safe ensures that the safe’s contents remain dry during a flood and also enables the safe to float and makes it easy to locate in the crises. Its waterproof seal keeps its contents dry and safe when fallen into water or catching fire. It has been tested and certified by the underwriters and laboratories organization. 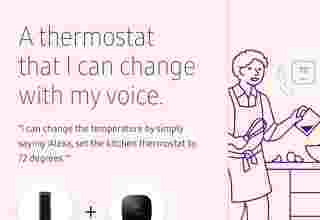 It can hold the external temperature up to 1550°F for up to 30 minutes. It without any help verifies to protect memory sticks, digital media, CD’s, DVD’s and also external hard drives. It is one of the most renowned and trusted American brands that specialize in home Safety products. It is made from PDA plastic and contains a concrete fill. It is a heavy-duty safe that’s built to withstand harsh elements. “The First Alert” has the perfect size for storing letter-sized documents (lying flat) as well as other small valuable items. Its handles make it convenient to carry and transport if required. It also has a secured clamping-style latch with a key lock. It is required to be aired once in a while in order to avoid a build-up of moisture and/or mold. SentrySafe Fire and Water Safe is another excellent fireproof safe that comes at an affordable price tag. The 1.23 cubic meter fire safe has a lot of features that make it a must buy for first-time buyers. It has the capacity to withstand temperatures up to 1,700 degrees Fahrenheit for an hour before the contents inside are damaged. This safe can handle submersion in up to 8 inches of water for nearly 24 hours. Four heavy-duty bolts seal the door in place. It also has multiple shelves and hooks for storing smaller items, and the two other interior shelves give you a place to store memory cards, documents, family photos, and more. It is a fire resistant safe and is UL classified for fire endurance (1 hour at 1700ºF) to guard documents, records, and valuables from fire damage. It protects CDs, memory sticks, and other digital media. It can handle submersion up to 24 hours in up to 8 inches of water. It has four locking bolts. The extra-large size of this fire safe makes sure that there is space for storing all your important items and valuables. If the safe catches fire, Sentry Safe will replace it with a new one. It is designed to provide resistance for years and give you trustworthy service. 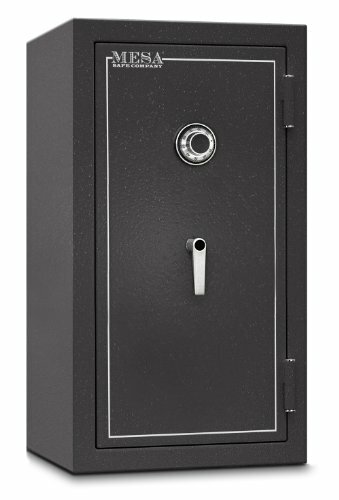 The Sentry Safe SFW123DSB combination Fire-Safe features solid steel outside along with four 1-inch live-locking steel bolts that are 60 percent higher to other safes. The dual-combination lock system delivers high security. It also includes a safe that is bolt-down. The kit enables you to keep the valuables in the safe securely. This safe has been certified by Underwriters Laboratories (UL) and Edison Testing Laboratories (ETL) to provide one-hour fire shield. It has gone through up to 15-foot drop tests, where the contents remain intact and the safe remains locked. The Fire-Safe has some excellent features to help keep your valuables organized. For the quick opening, the interior of the entrance has a key rack, a tray, and a pocket for small items to keep like CDs and DVDs. It has a flexible interior shelf to organize other extra things. The weight is 101 lbs. The Steelwater AMSWD-500 has a 2-hour fire rating at 1850 degrees. It is an additional 450 degrees for an hour and a half. The safe is accurately tested by an independent laboratory in Korea. They are famous for making high-quality fire safes and their laboratories are very reliable. This safe is a great value for the quality. It has extra size and is wonderfully protected. The Steelwater AMSWD-500 safe has an internal storage capacity keeping in mind the 2-hour rating. They have to add extra material to increase the fire rating and unless a different material is used, it decreases the amount of space inside the safe. It has a standard with an attachable shelf and removable storage tray making it easier for keeping envelopes, paperwork, birth certificates and passports. The safe is more reliable than a mechanical dial lock. It has a key to retract the bolts, once the number has been dialed in the safe after which you turn the key and gain access to the safe. 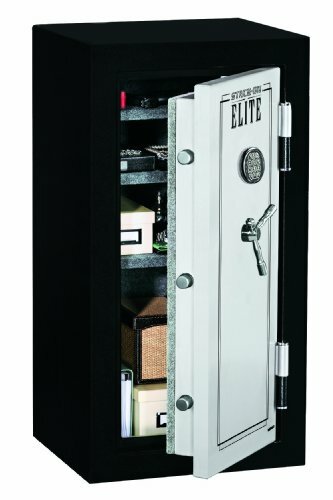 Elite safes are designed to protect your valuables from fire and theft. The 3-spoke handle of this fireproof safe moves 5 solid-steel locking bolts, which are combined with 3 deadbolts that keep the door secured on all four sides from any kind of theft. This Stack-ON Elite Safe has a carpeted interior, which includes 3 adjustable-position shelves that allow you best to suit your needs. You can save up to the 3-8-digit combination – back up keys. You can access the safe Electronic lock batteries on the front of the safe. The safe can be mounted as well and the hardware is also included. This product is approved from Firearm Safety Device, which meets the necessities of Penal Code section 23655 and the rules issued. Mesa Safe MBF3820C All Steel Burglary and Fire Safe come with a unique design, which is a combination of all the security features that a burglary safe should have to protect your valuables from fire and theft. 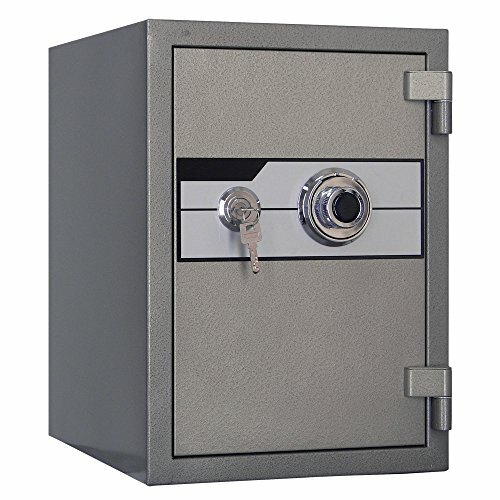 Some of the excellent features of this burglary safe are a full steel construction, massive 1-inch diameter live locking bolt, electronic battery-operated lock, and heavy-duty hinges. The sturdy Steel construction of this safe ensures strength and durability; and also, a lifelong use, which will withstand any kind of physical attacks. Another excellent feature of this safe is the keypad lockout penalty feature that works when multiple combinations will be incorrectly entered. The MBF3820C safe is fire-resistant that includes a 2-hour fire rating tested under 1830 ° Fahrenheit of temperature. The Mesa Safe fire safe features help you to protect, secure and store all your valuables. The strip includes 3 Electrical Sockets & 2 USB Ports. The safe is not U.L listed. This was a detailed insight of the fireproof safes. We discussed why fireproof safes are important, how they work, their features, how to keep your documents safe and more. 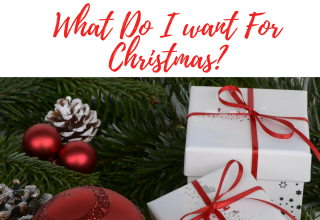 And, we also talked about the 5 best fireproof safes available for you in the market that will help protect all your documents, valuables and more. Previous article Inverter Generator Vs. Conventional Generator: Which One to Choose? Wink Hub 2 vs Smartthings – Which One Should You Buy? Arlo Q vs Arlo Q Plus – Which is the Better Indoor Camera?